The December credit policy was an eagerly awaited event as it came just after the demonetization scheme that was announced last month. Almost every word mentioned by the Reserve Bank of India (RBI) on interest rates, growth, inflation and demonetization was to be analyzed threadbare. Quite ironically, the stance taken by the RBI was neutral and the basic rates were left unchanged, which was contrary to expectations. What are the main takeaways from this policy? First, the RBI had announced that the incremental 100 percent Cash Reserve Ratio (CRR) imposed on deposits after 11 September, would be revoked from 10 December. This was expected since the RBI had announced earlier the hiking of the limit for issuance of MSS bonds to Rs 6 lakh crore which will address the issue of handling excess liquidity with banks. Second, the lowering of repo rate was expected, though it was not, theoretically speaking, on. This is so because the banks had already started lowering their deposits and lending rates once deposits started flowing in after demonetization. Hence the transmission effect was strong due to extraneous forces. Therefore, lowering rates at this point of time was not really required. The expectation was more from the point of view of assuaging banks and improving sentiment at a time when the morale was low given the impounding of the deposits through incremental CRR requirement. 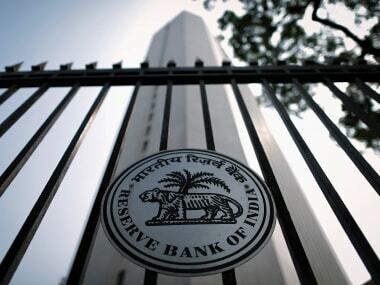 In this context, the RBI has also cleared doubts over the role of Fed rate hikes by stating clearly that all such decisions are based on domestic factors and are not linked with the Federal Reserve’s actions. 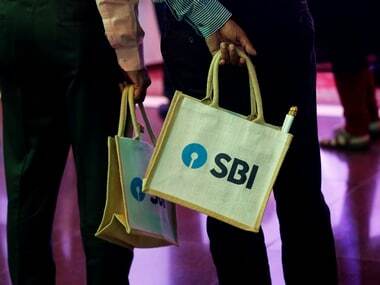 Third, the RBI has settled the debate over the use of currency that disappears from the system. There has been considerable discussion as to what should be done to currency which disappears from the system which will happen if the holders cannot deposit the same due to absence of any justification. The amount spoken varied between Rs 3-4 lakh crore. It has been argued that the RBI can transfer the same to the government as surplus which can be used for productive purposes. There has been counter arguments put forward that this would not be the best practice to follow. The RBI, in its policy has clarified that no such thing will be done and that the liability will reside on its book without booking it as a cash surplus. 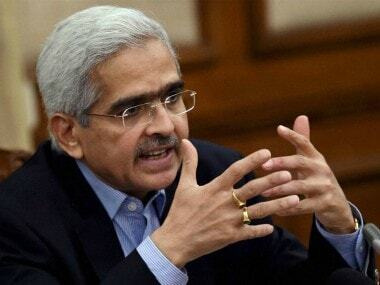 Fourth, the RBI has brought down the GVA growth forecast to 7.1 percent fr om 7.6 percent, though it has clarified that this has been motivated more by the lower Q2 performance rather than a serious dent in Q3 growth. This may not be too convincing, and in case there is higher slippage in the third quarter then the overall growth process will get retarded further and could slip to less than 7 percent. Fifth, the RBI has also been conservative with the inflation forecast of 5 percent by March end which is quite pragmatic. 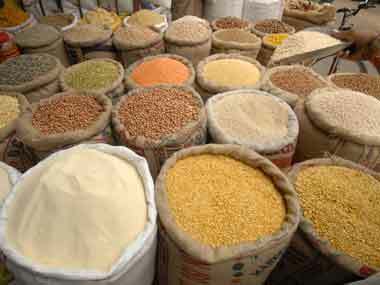 Prices of some food products have come down sharply post demonetization as farmers are unable to sell in the market. However, there would be a reversal when the rabi crop arrives next year as there are problems with farmers when it comes to procuring seeds and fertilizers. Also with international prices of crude oil and metals tending to firm up, there would be progressively pressure on prices and hence an unchanged target appears to be in order. What is the way forward? 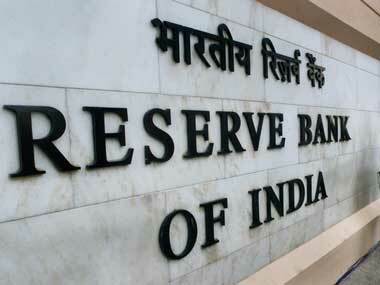 The RBI has kept all options open for rate cuts in future depending on the economic and liquidity conditions. Liquidity should largely not be an issue till March as the problem is more about dealing with surpluses rather than inducing the same. The reverse repo instrument will become more important than the repo rate, and an unchanged rate structure will be beneficial for banks which are converting deposits into GSecs through this window. On the other hand, more securities in the market though the MSS will decrease the price of bonds thus pushing up yields. But the important question is whether or not demand for credit will increase or will lacklustre conditions continue to generate excess liquidity? Demand for credit depends on fresh investment as well as higher borrowing for working capital requirements. Now, with production slowing down in several sectors such as auto, FMCG, white goods, cement, housing etc. there will less enthusiasm for investment. One segment which showed high rate of growth in credit was home loans. Here, too, the ambivalence in expected impact has slowed down demand for homes which in turn has led to lower credit requirement. Hence, with growth slowing down in these two quarters, demand for credit would take back seat, which in turn means that banks will have to learn to live with higher liquidity which will tend to lower interest rates on both deposits and loans. MSS bonds and reverse repo auctions are more often to find mention in the market than credit growth. This could be the story for the next four months.